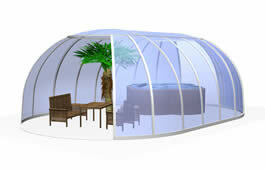 The enclosure of the SPA SUNHOUSE®/SPA GRAND SUNHOUSE® is the rounded version of the SPA DOME ORLANDO®. 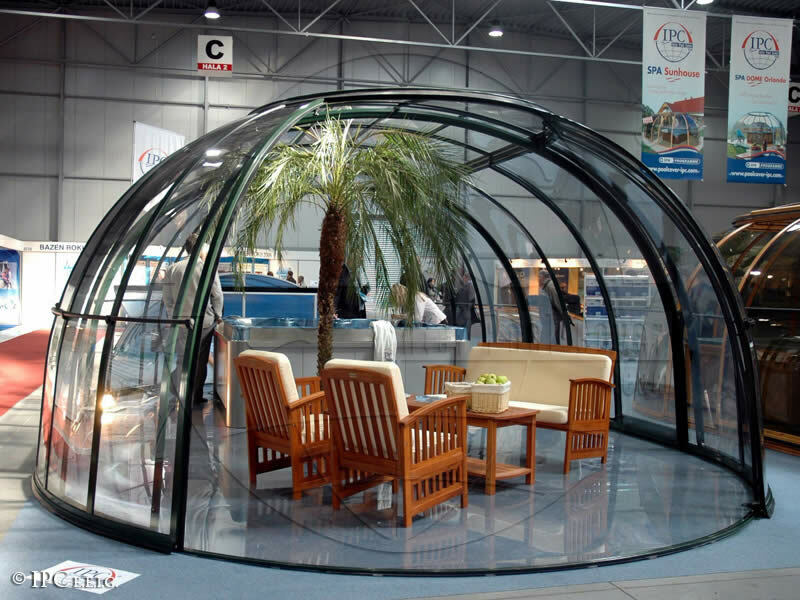 Its larger size provides a bigger utility area. 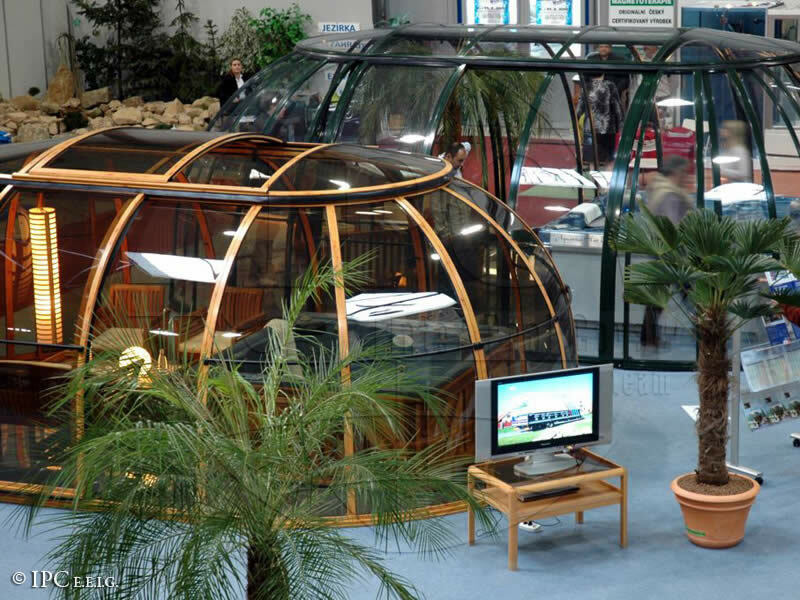 It is fitted with a movable dome shutter and two sliding doors. 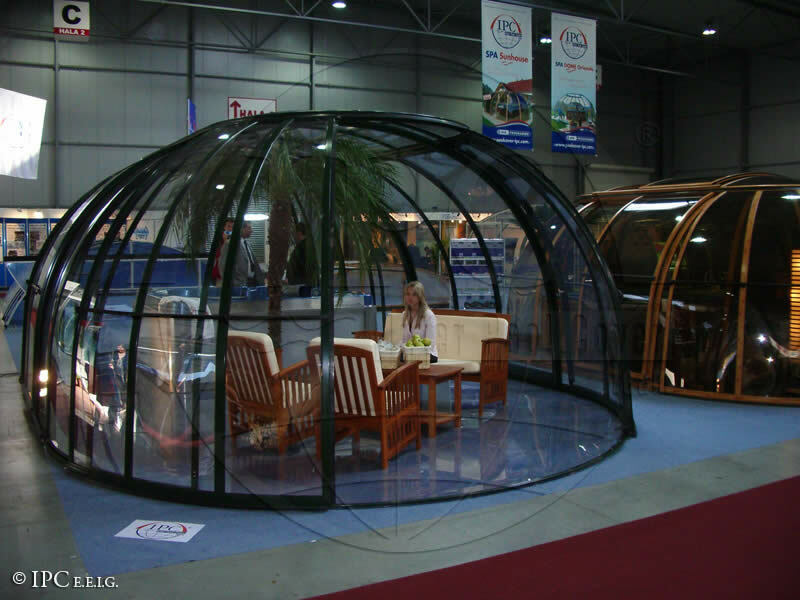 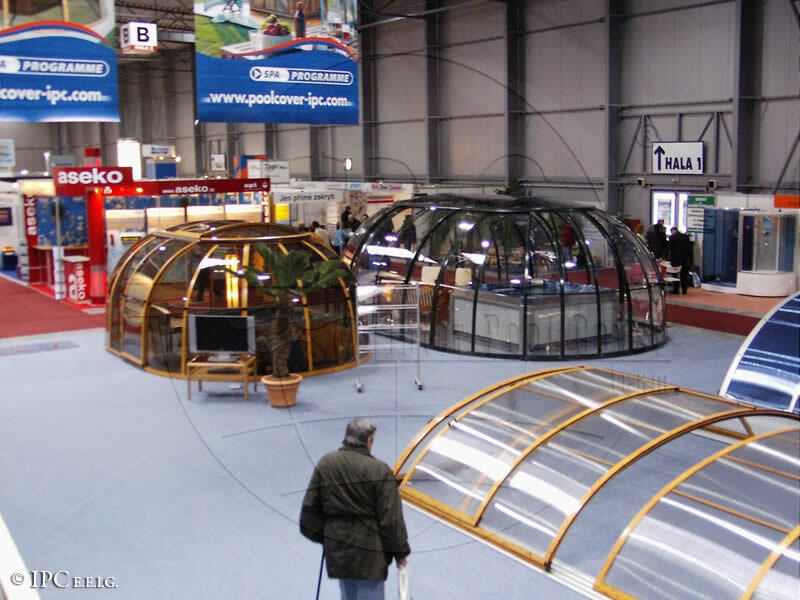 The model consists of two semi-domes (like the halved SPA DOME ORLANDO® model), two straight enclosure segments with sliding doors on the side and with a cap with ventilated movable enclosure roof ensuring better ventilation. 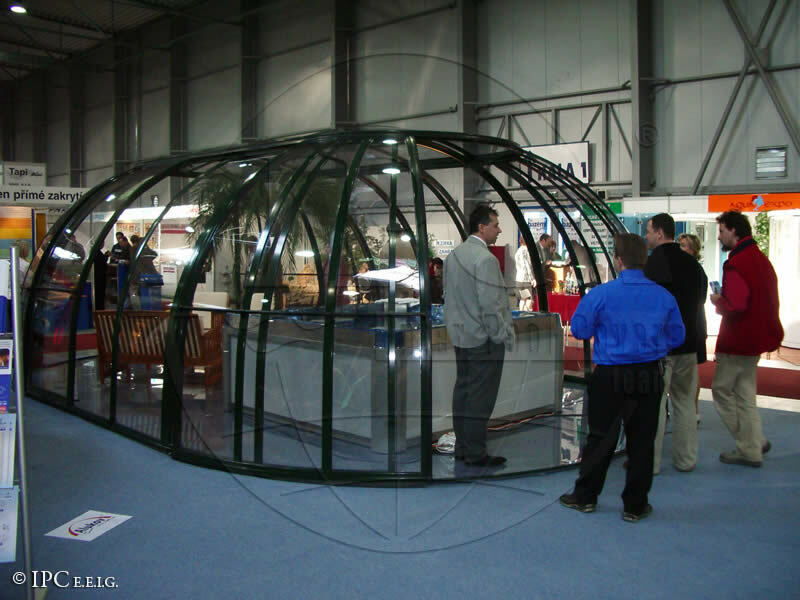 The two wing slide-apart door is mounted to one of the semi-domes. 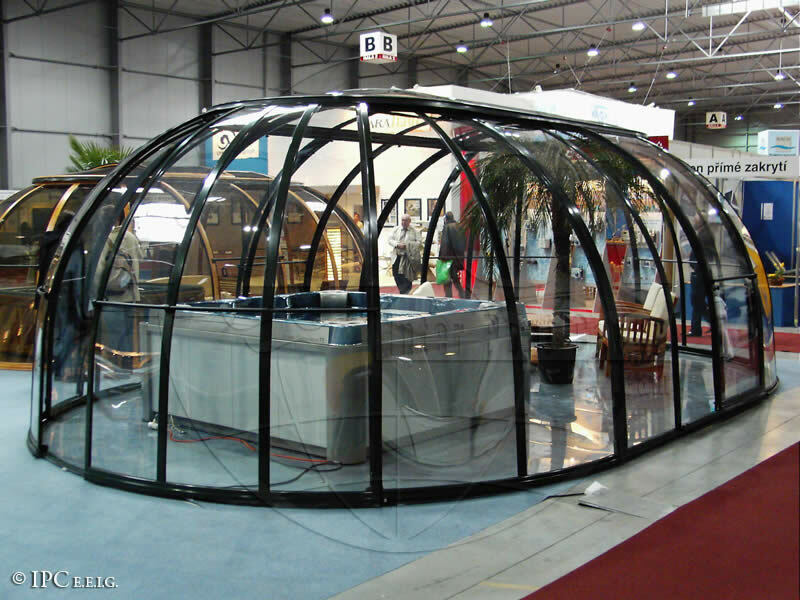 It facilitates the handling of the spa and serves as the main entrance in the enclosured area. 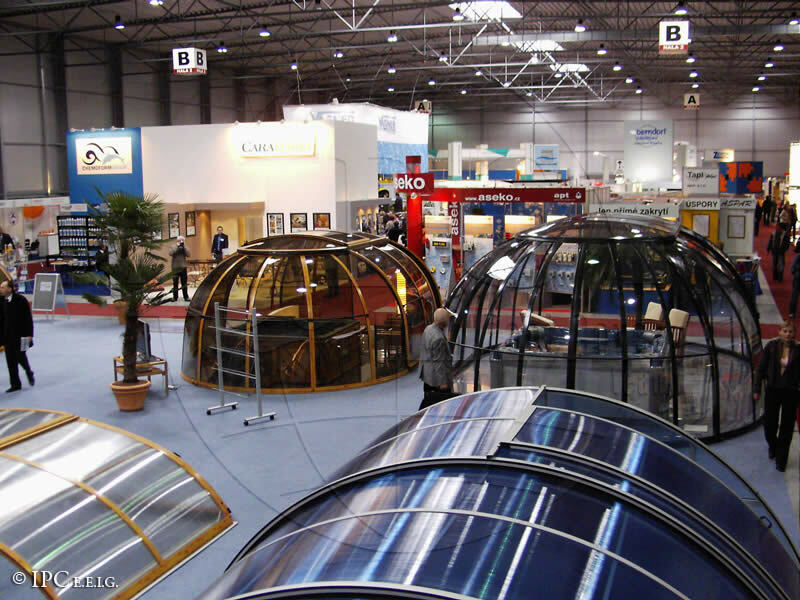 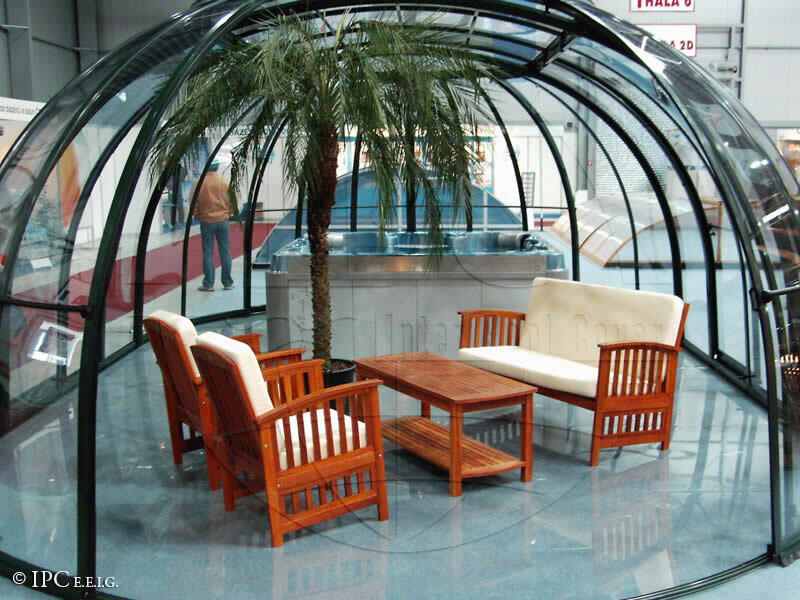 The manufacturing version with bronze (smoked color) polycarbonate panels substantially reduces the effects of the sunshine, creates an environment that is pleasant to your eyes, and helps to maintain comfortable indoor temperature. 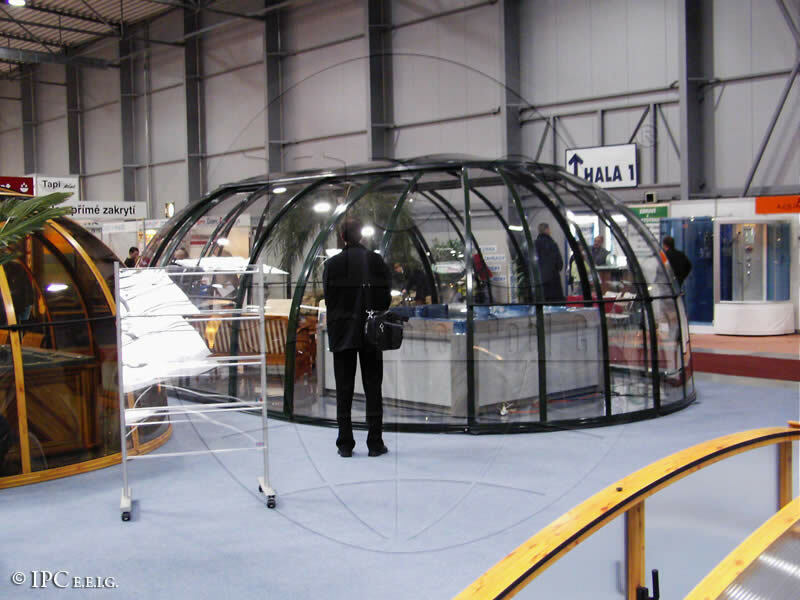 The structural components used in both types of enclosure secure not only simple and effective assembly but also low maintenance.